In Traditional Chinese Medicine, the heart can be considered the most important organ in the body. All other organs connect to the heart and help the heart function as best it can. According to TCM, regulated blood circulation depends on the heart’s energy flow, or Qi. When the heart does not have enough Qi and is deficient in Yang, it can result in poor blood circulation, weak pulse, palpitations and chest pain. A Heart Yang deficiency is associated with coldness. When Yang is not in balance, circulation slows resulting in extreme coldness and a pale face. A Yin deficiency happens when one is overworked and does not give the body and mind a chance to slow down. Fatigue and anxiety are symptoms of a Yin imbalance. Imbalances in the heart can result in many other issues as well. When one is stressed, a domino effect happens in the body. The liver’s function decreases when the body is in high stress, therefore it cannot support the heart. According to TCM, the heart is also the source of consciousness and thinking. When one’s blood circulation is in balance, their thought processes and mental activities function well. If the heart’s energy is deficient, one can experience anxiety, insomnia and restlessness. 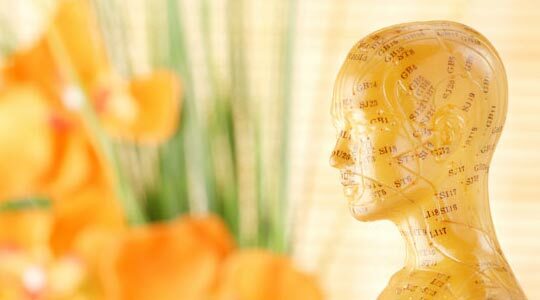 TCM believes that acupuncture treatment can reduce stress and return the heart to health. When one is consistently stressed, there is an increased level in adrenaline and cortisol due to a raised blood pressure. When these stress hormones increase in the body, one is more susceptible to blood clots and a risk of heart attack. Acupuncture works by lowering the body’s blood pressure and heart rate, which then can lower cortisol and adrenaline levels. Specific acupuncture points are used on the body to relax the mind and address problems like hypertension and symptoms of heart disease. Acupuncture works by addressing the body as a whole. When there is an imbalance in the heart, acupuncture points work to return the body back to its normal energy flow, which improves the function of the organs. Believe it or not, potatoes can be very beneficial for heart health. Potatoes are packed with potassium and fiber, which can help lower blood pressure and risk for heart disease. As long as they are not fried, potatoes can be a great food option unless you have arthritis.